This New super Moon in cancer kicks off the transformative Eclipse Season. The New Moon takes place in the watery sign of Cancer on the 12th of July. Expect waves of change to ripple throughout your life. Eclipses are always a harbinger of change and transformation. They have a way of highlighting what is no longer working or needed in our lives in an intense fashion. We are often faced with uncomfortable truths, and the harsh reality of change. An eclipse has a way of putting us right where we need to be and doesn't seem to care if we get a little "bruised" along the way. If you have been intentionally neglecting an aspect of your life, expect it to come to the surface during this cycle. It's time to make room for new habits and a new way of life. This eclipse will likely bring up a lot from the past situation you faced back in January and February. (Our last Eclipse season.) So expect the past to come back up to be observed, felt, held and healed. You may be getting a new look at the past and have the opportunity for some understanding and closure. As if entering eclipse season wasn't intense enough, we also have 5 planets will be retrograde this month. Jupiter, Saturn, Pluto, Mars, Neptune, Uranus, and Mercury are all retrograde during July. When a planet goes retrograde, we get a unique opportunity to slow down and reflect on different areas of our lives that each planet represents. Retrograde energy is about pushing pause and turning inward. We will talk more about each planet's retrograde as we go deeper into our reading. Each New Moon cycle we look ahead at the astrological influences of the coming cycle. 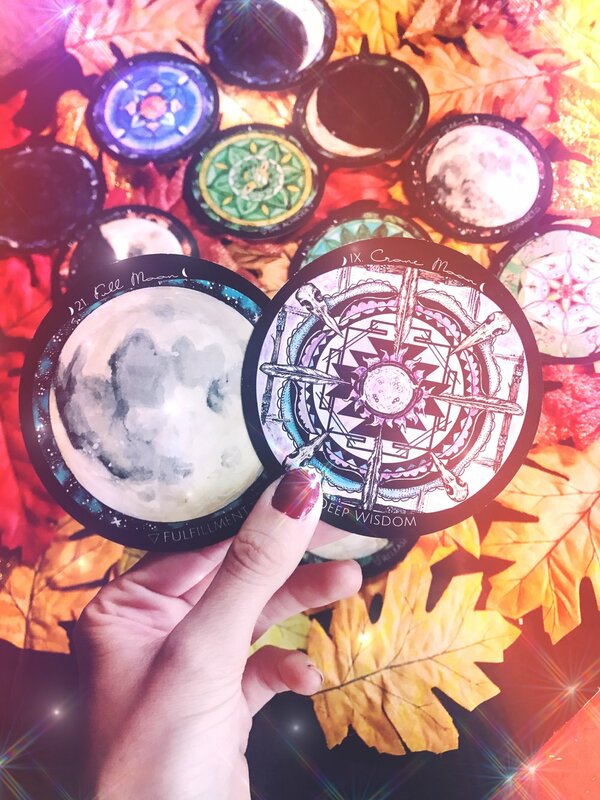 We pull a card for each main turning of the moon as she goes through her 28 day cycle to create our New Moon Energy Reading. 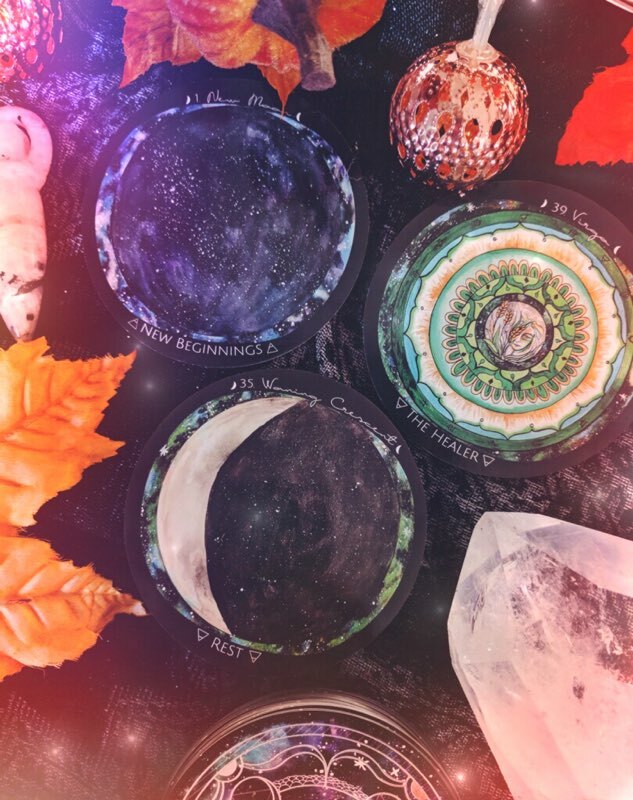 So, grab a cup of tea and read on to see what this New Moon Eclipse has in store for you! The New Moon takes place on the 12th of July, but some will experience it on Friday the 13th. 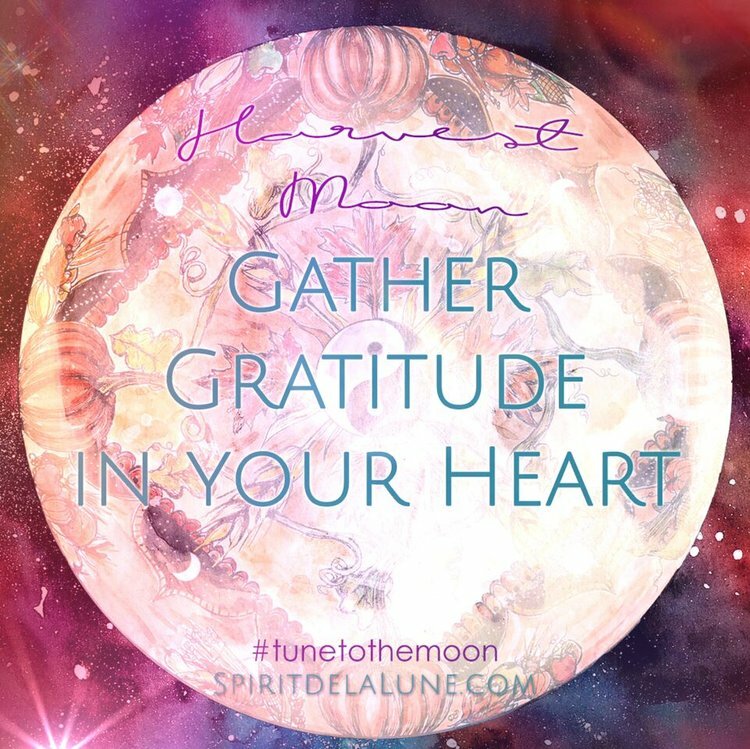 Lunar energy is felt 3 days surrounding the event, so feel free to tap into the lunar energy whenever you feel it most. 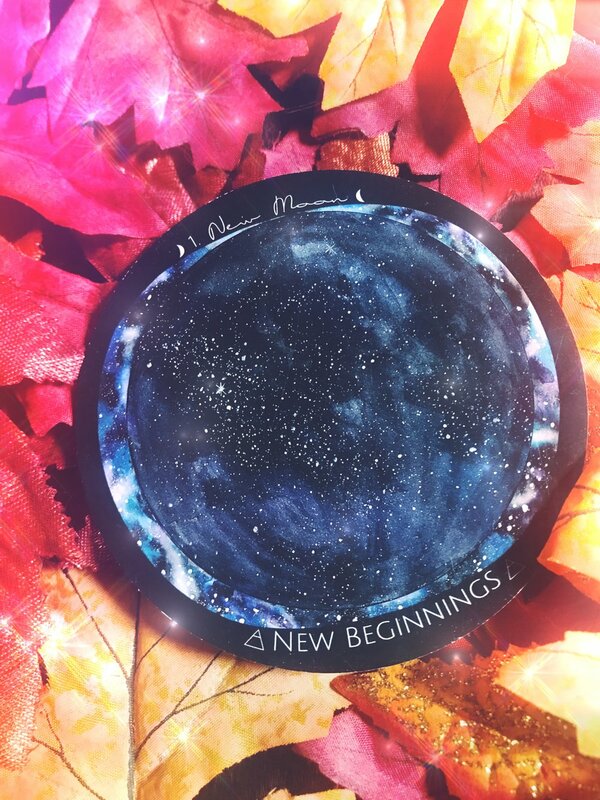 New Moon's typically represent new beginnings, but this particular New Moon holds even more powerful potential for major transformation and sudden change in our lives. This is also a Super Moon, meaning that it is closer to the Earth, intensifying the lunar energy even more. Jupiter went direct on the 10th of July, just before the New Moon helping ease up some of the sluggish energy the retrograde may have caused. Expect some momentum to pick back up in your life in an area you may have forgotten about. The New Moon is home in the sign of Cancer, which typically has us wanting to stay in and relax with a peaceful night in our own home. 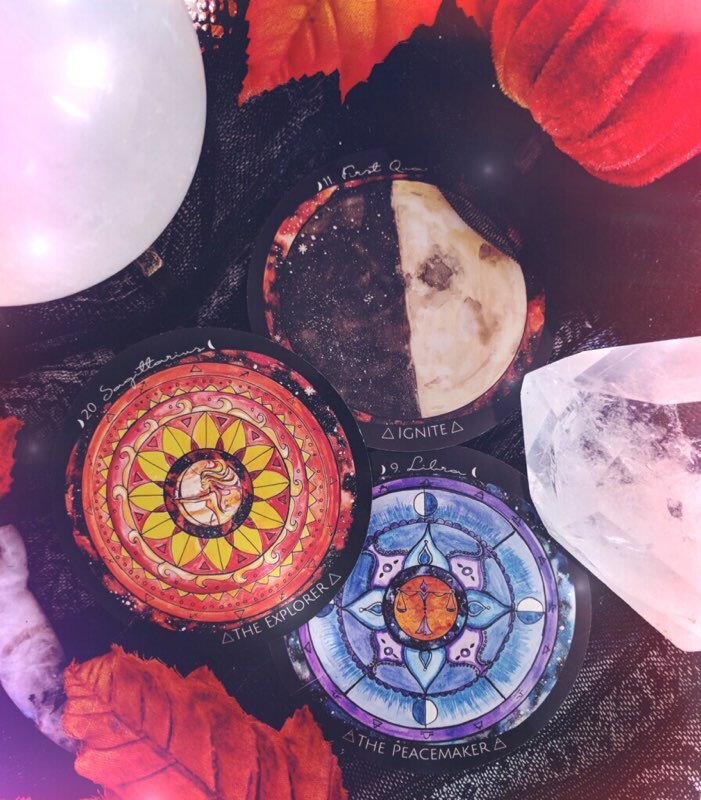 This time you might be faced with really looking at where you are, and deciding if you are actually that comfortable where you currently are There seems to be a sense of upheaval when it comes to stability for many people right now. Our sense of "home" is being re-looked, and new perspective is coming to light. Eclipses shake things up and deliver hard truths to get you where you need to be. We have been and will continue to feel this on a global scale and within ourselves as stability continues to shift for our planet. Balance is being restored on many levels. Check in with yourself to see what balance needs restoring in your own life. Walk through the threshold of this Eclipse. Don't allow your fear of the unknown to hold you back any longer. There is a strong rebirth energy available to us, prepare yourself for the rebirth. Journal your feelings, fill your body with nourishing foods, take time in contemplation and meditation. Look deep within to uncover what areas of your life need to experience rebirth. What have you outgrown? You are being asked to step into yourself more and become more you. Tend to yourself and your needs at this time, and stay in your body! It is tempting to run away or sleep things off when emotions get intense, but right now it is important to feel what you are feeling. Sometimes negative emotions act as reminders to keep a cycle from repeating in our lives. Allow yourself to feel the emotions you do so that you can heal them properly. The card pulled for this phase is Waning Crescent- Support. Trust in the process of change and transformation and know that you are supported. Don't neglect your physical needs, support your physical body as the vehicle it is. If you are in a vulnerable space, call out to your people and find your tribe. Reach out to those who have told you that they would be there for you. Trust that they will. It may not be in your nature to ask for help, but now is the time to receive from those around you. 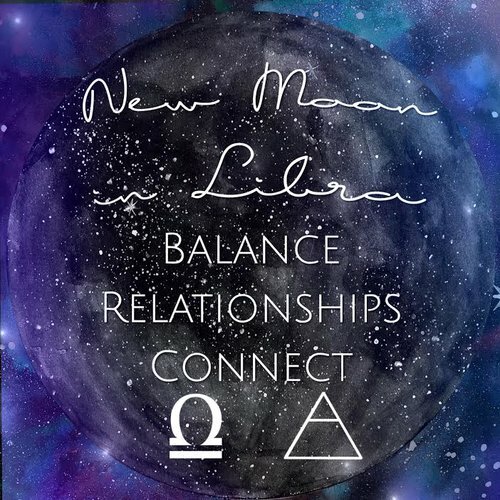 The moon will be in Libra as she turns First Quarter on the 19th of July. As the Moon gets brighter in the sky, your own energy expands and grows with it. The Moon in Libra causes emotions to come up to the surface to be analyzed. You may feel it hard to make decisions, or be feeling self doubt right now. Partnership and relationships could be brought into focus as the New Moon and Eclipse energy is still rippling throughout your life. Neptune has been retrograde in the sign of Pisces since June18th and won't go direct until November 25th. This is helping us expand and understand our sense of self and spirituality. New ideas might come to you, you may even feel a sense of confusion around past beliefs as new thoughts and ideas begin to expand your awareness. Allow yourself to be a witness to these thoughts and emotions instead of just pushing them away. Sit with your emotions and feel them fully. Observe your ideas without judgement to allow your mind to expand and open. The card pulled for this cycle is Lunar Eclipse- Sovereignty. This card is very fitting to see as we are moving towards the Lunar Eclipse the following week! This is an indicator that there is major change on the way for you. A new path is in your future, but you might be faced with facing the unknown before you even see the steps in front of you. Have courage and trust in your higher self and the path you have put before you. The Full Corn Moon takes place on the 27th of July in the sign of Aquarius. Some people may feel this energy in Capricorn depending on your time zone. Answers to the questions you've been asking are ready to flow to you. Mercury goes retrograde on the 26th of July, just before the Full Moon. This gives us the chance to really look within ourselves for the answers we are seeking this week. This Full Moon is also a Lunar Eclipse! This is again tied in with what was happening back in February. Expect new clarity and knowledge to come to you about that time. This Lunar Eclipse is helping us tie up loose ends and gain closure on some of the lessons and trials we have faced in the past. Secrets could be be revealed, truth may come to light, it's time to deal with what is coming to the surface right now. Eclipse energy is very intense, allow it to guide you. Pay attention to your surroundings and environment. 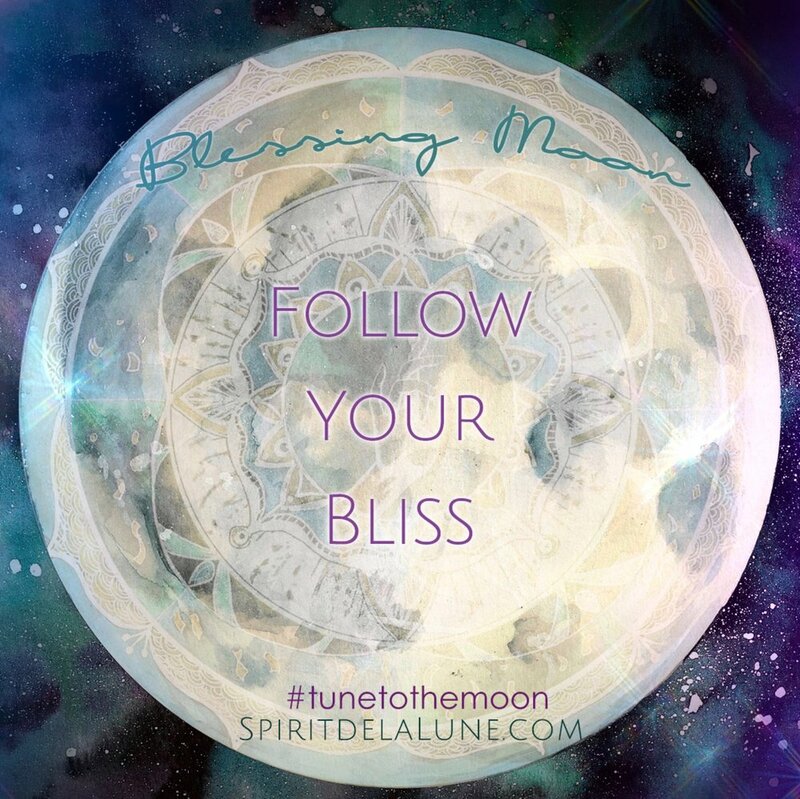 Listen to your intuition during this powerful Full Moon. Emotions are heightened, and once again you may feel your stability and sense of "home" is shaken. The card pulled for this phase is Waning Crescent - Envision. You may not feel like you can put much energy or effort into things that seemed easy a little while ago. 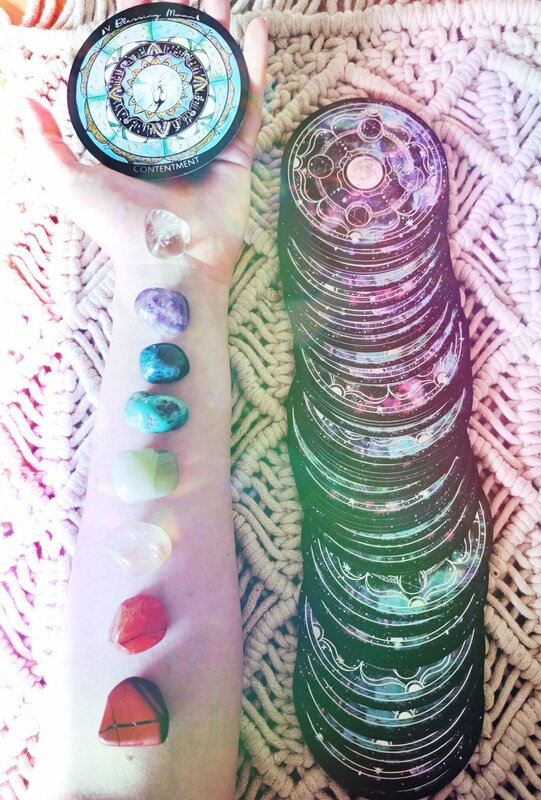 With so many planets retrograde right now, surrender and allow yourself to slow down and reflect. There may not be much that you can physically do at this time, but you can spend a lot of time visualizing how you want the outcome to be. Focus your emotions and visualize the end results if you begin to feel frustrated or doubtful at your progress. 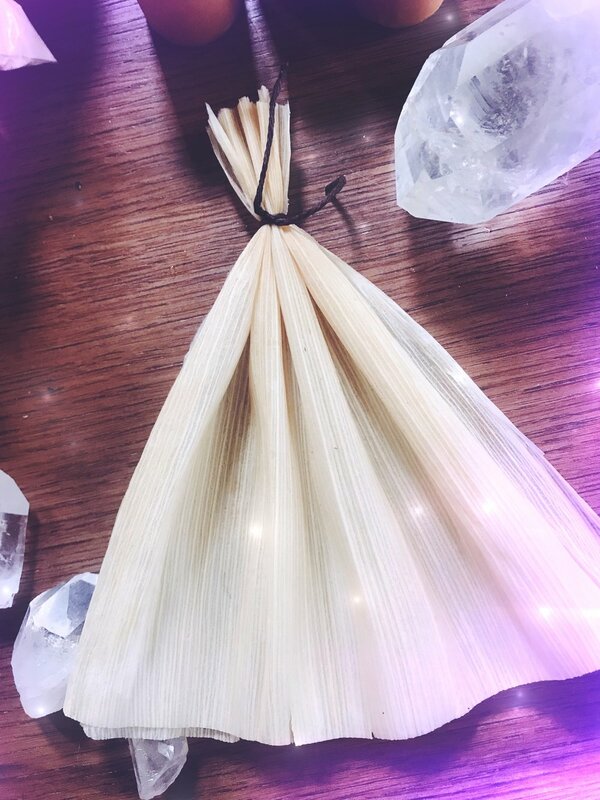 Don't forget to check back for the Corn Moon Ceremony! The moon turns to Last Quarter in the sign of Taurus on the 4th of August.The Waning Moon calls us inward once again, and the moon in Taurus asks us to have patience with ourselves and others. This is a time for understanding and exercising compassion, especially for yourself. Refill your own cup first before refilling others. Take a break if you need to! Visit a park, a body of water, or even spend time tending to your garden or house plants. The card pulled for this cycle is Waning Crescent- Boundaries. Saturn has been retrograde in the sign of Capricorn since April, and will be retrograde until September 6th. This has brought our focus to personal responsibilities and goals, but has also helped us set boundaries where we have needed to. 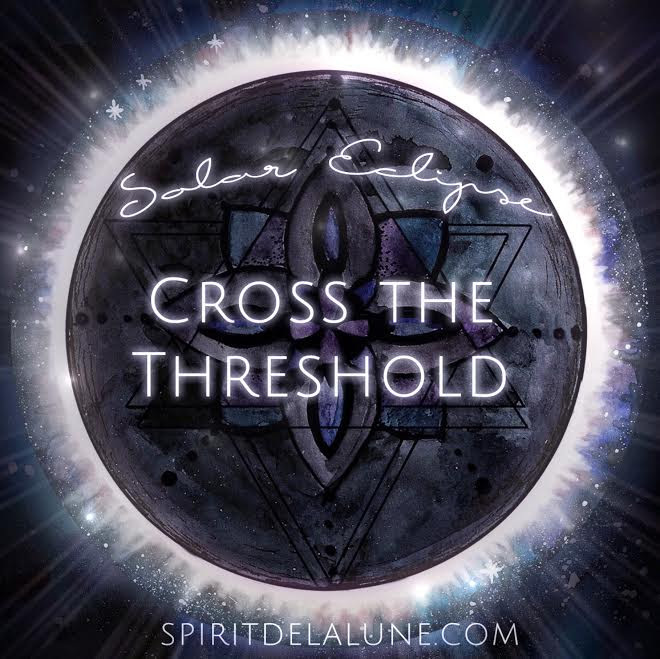 You might be feeling the influence of Saturn pushing you to draw clearer boundaries. Uranus goes retrograde on August 7th until Jan 6th, through the signs of Taurus and Aries. This retrograde really will dig up the past, but will bring a full circle from the lessons we learned from in the past. This is setting the stage for the next New Moon and preparing you for the new cycle ahead. This is a good week to contemplate and prepare ideas for what you New Moon intention will be. The Eclipse season is just beginning, and the intensity may rise as the planets go retrograde this cycle. Practicing self care is extremely important this month. Use this time to rejuvenate yourself. 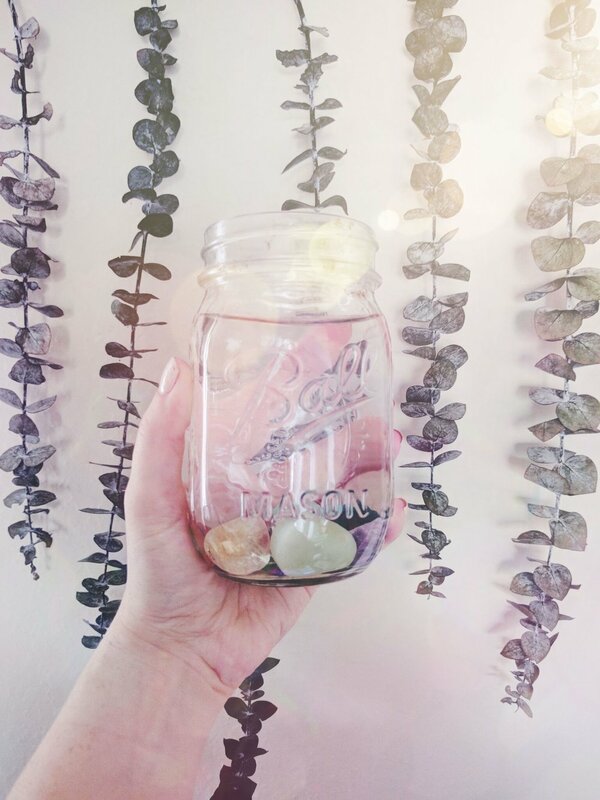 You might feel a lull in your own energy as thing slow down with the retrograde. Don't push yourself. Look at this new cycle as an opportunity to practice extreme self care. Look out for yourself, have patience and look for ways to nurture yourself. Change is inevitable, and this new cycle forces us to face the unknown. Surrender to the change and face your fears. Accepting that this month will cause you to go within and use the retrogrades to get to know yourself deeper so you can step more fully onto your path and into your purpose. 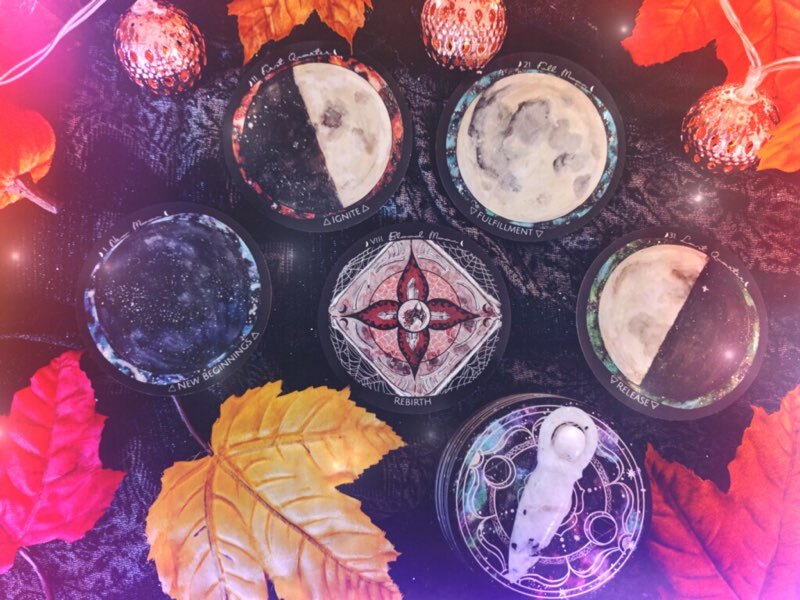 Don't forget to charge your decks and crystals tonight under the New Moon!